Layne Marie Williams hails from Alabama, studied drama in Philadelphia, and has lived in Chicago for about a year. She moved here to amplify her arts career, and immediately made a splash with the avant-garde film, “Dollface.” Williams founded “Women of the Now” (WOTN) in Philadelphia and has expanded it in Chicago. WOTN specializes in video production and event facilitation, and their goal is to create content with strong female voices. HollywoodChicago.com spoke to Ms. Williams about the event and her commitment to creating opportunities for new female creators. 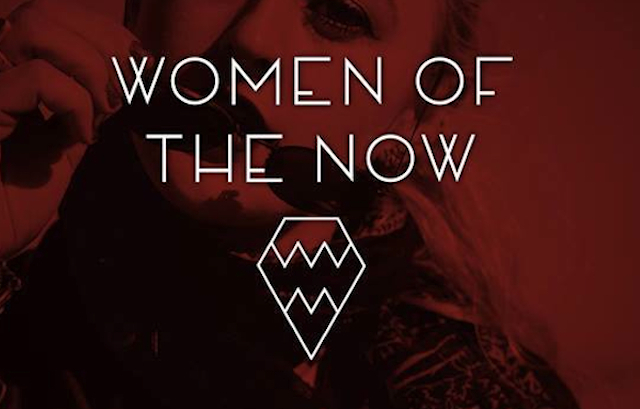 HollywoodChicago.com: What is the origin of “Women of the Now,” and how do you plan to expand on the movement after this fundraiser event? 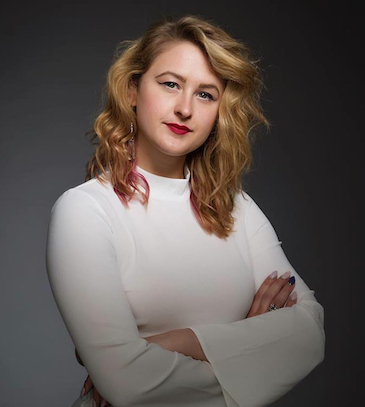 Layne Marie Williams: I founded Women of the Now in Philadelphia, and got it together with some like-minded women, in association with the Women’s Film Festival that I helped to coordinate there. We started calling ourselves the “women of the now” and the name stuck. When I came to Chicago, I knew I was going to do something with it, but I didn’t know what at the time. When I premiered my film ‘Dollface,’ it was technically the first Women of the Now production in Chicago. I also was waiting to meet the right people to do all this ‘dirty work’ with me, [laughs] because start-ups are a big deal in time and energy. We’re gearing up for our next short film, ‘Scutly,’ and decided to put it under the Women of the Now umbrella. It’s coming to the place where we can uplift the voices of women, but we’re also able to produce and create our own work. HollywoodChicago.com: How did the election of Donald Trump affect activist women of your ‘millennial’ generation, in your observation? How can movements like ‘Women of the Now’ fight back? Williams: We can fight it in so many different ways. First of all, by not stopping the work that has been happening, and knowing that the work that we’re doing – and the unity we have – is now intimately more important and necessary. As hard as the situation has been, it’s also been empowering and kicked our generation into gear. We’re working even harder. HollywoodChicago.com: We always, everyday, should express that women’s rights are human rights. Since we’re still essentially in a patriarchal power structure, why do you think that power fears the recognition of women’s rights? Williams: There is a lot of intimidation. I think that the patriarchy that currently exists is embedded with the idea that women are lesser than they are – it’s part of their blood. It is both their responsibility and our responsibility to do better. We need to listen to each other, and that power needs to recognize the vital work that women do. It’s a systematic disease of this culture that together, we have to cure. HollywoodChicago.com: You have had some monumental activities related to your filmmaking since we last talked. What updates do you have that really excite you? Williams: I just saw the rough cut of a film I co-directed with Lonnie Edwards, ‘An Atramentous Mind.’ The next step is color correction, and I’m really excited about the project. It was such a collaborative effort between Lonnie and I, as we both have different types of styles and skill sets. We complemented each other in a way that left both of us amazed. Also my new short film ‘Scutly’ – produced by Women of the Now – is now in pre-production. We actually put together a promotional video for it that we’re premiering in a few hours. That’s why we’re starting these fundraisers, to both pay production associates and create a higher level production design, because the film itself is heightened and stylized. HollywoodChicago.com: What do you want to emphasize for potential attendees in regard to the ‘Women of the Now’ event, and what message do you want them to take to the rest of world regarding what you are doing? Williams: Women’s voices matter. They matter – and the talent, strength and ability is there, it’s just a matter of providing platforms and opportunities – and that is happening! It’s just about everyone putting in an effort out to acknowledge it. The event is a wonderful opportunity to network, meet some fellow women artists, and just have a great time. Women of the Now Presents: Rise of the Femme Pyre, Saturday, March 4th, 2017, from 9pm-1am. The event is at Camera Ambassador (Embassy Studios Chicago), 2525 West 14th Street. To get Facebook updates on “Women of the Now,” click here.